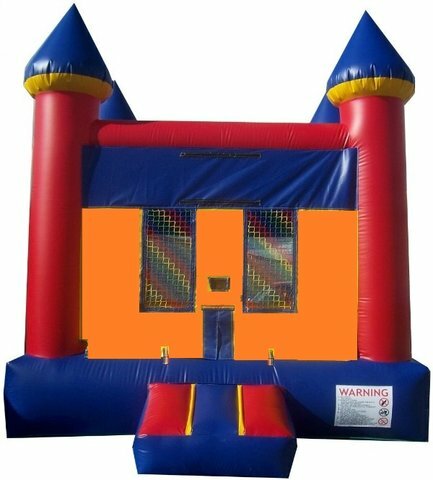 The Multi Color Castle Jumper provides a great bouncing time. This bounce house is the perfect way to combine a fun and healthy activity. A jumper is great for any party, corporate and company event, fair, carnival, church event, fundraiser, school event, park event, block party, and any other event. The Multi Color Castle Jumper adds value to any party and keeps kids entertained for hours! This jumper has 360-degree windows, so adults have a clear view of the fun. Our moonwalks are made with safe, lead free vinyl.